American author William MacLeod Raine (1871 -1954) was born in the U.K. and moved to the United States when he was a young boy. 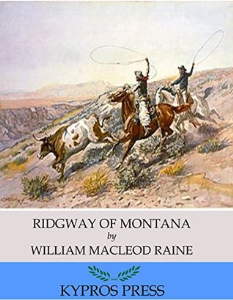 His family lived on a cattle ranch near the Texas-Arkansas border and he became a journalist before writing Wild West books. A romance in a state where politics and mining are life and death matters.